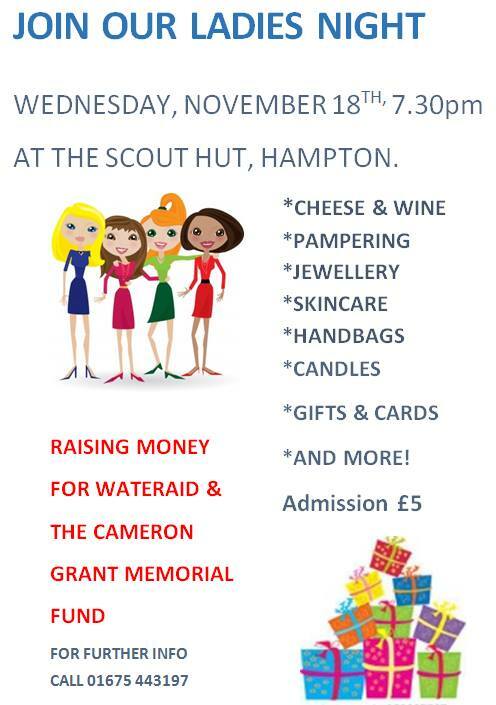 You are donating to : Ladies Night in Hampton! 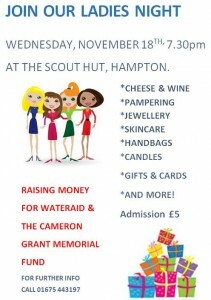 Jane Hodge ran a fantastic Ladies Night on 18 Nov to raise money for Water Aid and for Cameron’s Charity. Water Aid was a charity that Cameron was keen to support, and he mentioned it when he did his Ice Bucket Challenge in Sep 2014. Many thanks to all who took part.